NEW Dessert in a Donut! Donut you love the smell of freshly baked treats? Well if you are a sweetaholic like the rest of us here at Coupland’s you won’t want to resist our newest creation! 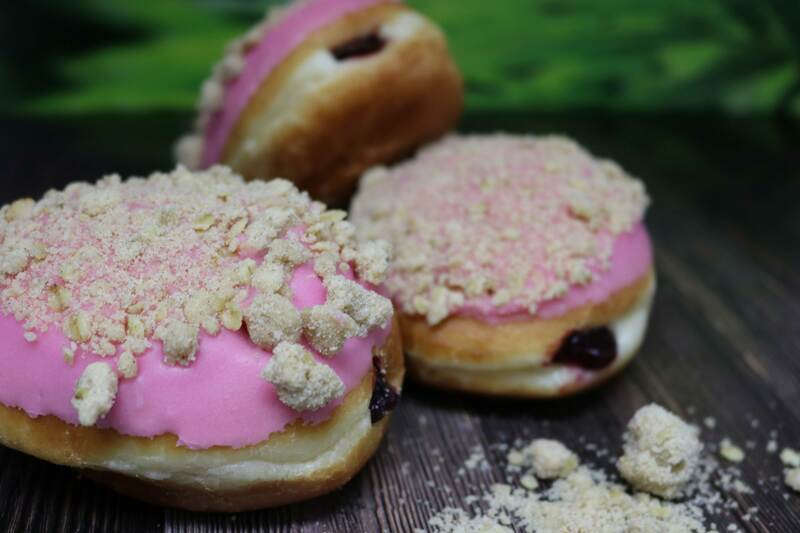 A soft and fluffy donut topped with a pink icing and sprinkled with a cinnamon and oat spiced crumble, finished off with a deep red tangy Barkers blackberry filling. Our new donut was created for all the big kids who need an afternoon pick me up and deserve a delightful sweet! We are always looking for new donut flavours to try in our filled & ring donut range and we love hearing our customers ideas! Do you have a favourite donut flavour you would love to see in our range?